Sign of God’s covenant with each individual male in Israel (v. 11). The word “covenant” is repeated eight times in this chapter. Other “signs” of the covenant: the rainbow: Gen 9:12 (cf. v. 8 and 11). The rainbow is a sign of God’s universal covenant with the cosmos. The Sabbath is a “sign” of the covenant: Ex 31:12.16.17, God’s covenant with the people of Israel. On the eighth day, otherwise the person is cut off from the community: v. 14 (cf. Jn 7:22-24). The name is given to the child on the day of circumcision. “He shall be called in Israel”: יקרא שמו בישראל ; he receives his place, his vocation, in the people of Israel and is inserted into its history. Jewish tradition sees the repetition as well as the plural, as an allusion both to the blood of circumcision and to the blood of Passover. The one and the other are a source of life. The one who is circumcised not only enters into the covenant with Abraham, but participates in the exodus from Egypt. The presence of Elijah, the messenger and defender of the covenant (1 Kings 19:9; Mal 3:1; Mal 3:22-24), guarantor of the child’s fidelity to the covenant into which he has entered. In the person of Jesus, God, the author of the covenant, enters into the covenant with Abraham, takes his place within humanity by belonging to this people. Within this people, he receives his name, his vocation: “God saves”, ישוע. For a boy, the mother’s purification occurs 33 days after the circumcision. This is a ritual purification that has its place along the same lines as what is said in Leviticus 15 concerning purification after menstruation or after ejecting seminal fluid. Cf. Lev 17:14: “blood is life”. One can see in this the meaning of physical integrity, of the need to restore the body, which ultimately has to do with the whole person and can be the opportunity for spiritual purification. In a sense, the events that have to do with the body are raised up by making them the occasion for a religious experience. (Remember the attitude of Jesus, who heals the body and purifies from sin). Compensation for the death of the first-born of the Egyptians (cf. Ex 12:29-34). The child is given to God through the mediation of the cohen and then returned to his parents (redeemed) through a symbolic sum of money. 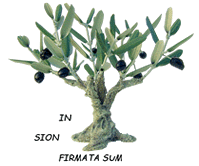 Another meaning: the first-fruits: every first-fruit is offered to God in order to show that every fruit belongs to God. The one who “redeems” is redeemed. The one who belongs to God the Father as Only Son from all eternity is offered to the Father and returned to his parents so that he might fulfill that for which he came, that for which the Father sent him into the world: to show by his incarnation the extent to which God loves humanity and wants to save it. When the Church celebrates these two events, the liturgy offers Malachy ch. 3 as a reading: The Lord whom you seek will enter into his sanctuary, the angel of the covenant whom you desire. And Psalm 24: Lift up your heads, o gates! That the King of glory may come in. In fact, the one who enters is neither an angel (cf. Heb 1:5; 2:5) nor a King of glory, but a small child. In this context, Simeon and Hannah appear. Two young parents, Joseph and Mary, faithfully fulfill the law of the Lord (mentioned five times: Lk 2:22. 23. 24. 27. 29). They encounter two old people who are witnesses to the messianic expectation. One awaits the consolation of Israel (cf. Isa 40:1; 51:12; 61:2; 66:13); the other the redemption of Jerusalem. Simeon, inspired by the Holy Spirit (mentioned three times in two verses: 25-26), sees in this child the “light of revelation for the Nations and the glory of God’s people Israel”. Cf. Isa 40:5; 42:6; 49:3-6. Glory, כבוד , means the “weight” of God, what is visible of the invisible. Jesus makes God visible (And the Word was made flesh and we have seen his glory) by giving the incarnation its full weight in view of revealing himself in the light for the Nations. In Jesus, God “gives weight” to his love for humanity. That is the meaning of his fulfilling all these rituals around the birth of a Jewish child; he submits to them through his parents. And thus he can be “light for the Nations”. Because he became one of us even to this extent, in a particular people, tribe, family, in a particular land, he could reveal to the Nations the extent to which God takes humanity seriously. The Nations receive this light when they recognize the glory of Israel in Jesus. And the glory of Israel will be to discover that in Jesus, a son of their race, the covenant has been opened up to all. This is and remains a sign of contradiction (Luke 2:34) both for Israel and for the Nations. How can the universality of salvation reveal itself through this extreme of the particular? How can this truth be welcomed with all that it signifies? Salvation comes from the Jews, from this people that is eternally chosen by God, from whom Jesus came forth, a son of this people, Son of God, Savior of the world. Welcoming this revelation goes by way of the cross. It is to be noted that the two expressions “glory of Israel and light of the Nations” can be found in the Suffering Servant songs. If this reality passes by way of the cross, Mary is closely associated with it in the mystery of her compassion. 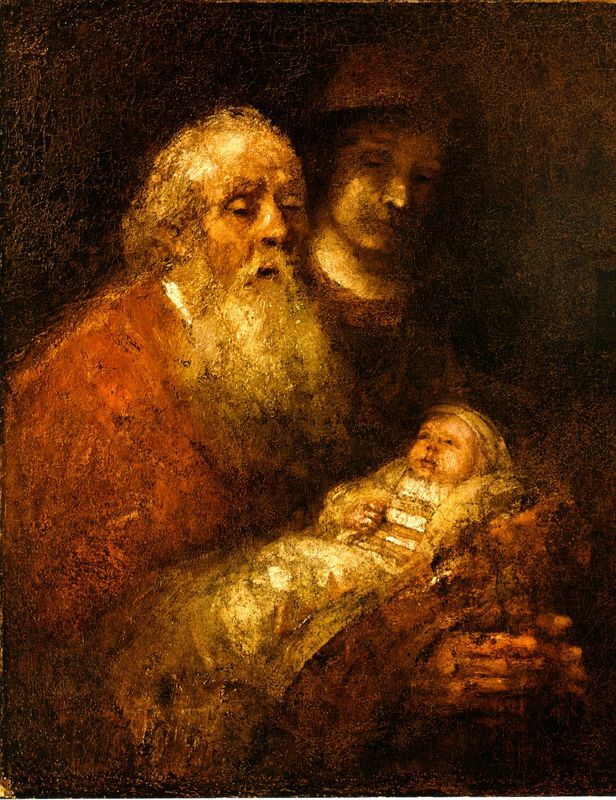 It is not by chance that the “sword” forecast to Mary by Simeon is situated in the humble context of the fulfillment of these Jewish rituals around the birth of a child. Mary knows better than anyone what the weight of the Incarnation means and to what extent Jesus is the “glory of Israel”. By giving Jesus to the world, by inserting him in the covenant through circumcision, by giving him to the Father and by redeeming him, she made it possible for the Nations to receive the revelation of the one and only covenant into which they are invited to enter.